Prefab homes are one of the fastest growing segments of the construction industry. Unlike stick homes, the modular home market actually increased during the housing slump between 1992 and 2002. In fact, modular home purchases grew by 48% while traditional homes fell. For the most part, the answer lies in lower costs, quick turn-around, and quality construction. People soon realize that modular homes are NOT mobile homes, and you cannot visually tell the difference between prefab and stick-built once completed. Since you cannot see a difference, the underlying benefits soon sell homeowners on the practicality of going modular. However, and this is where we feel the need to offer some words of caution, not all modular homes builders are the same. Before you start building a modular home, you need to do your homework. Here are some things you should do before you meet with a modular home builder. Once you’ve done your advanced preparation, you can move forward with confidence. The word ‘modular’ means, “constructed with standardized units or measurements.” Rather than build various sections of the house on-site, construction occurs inside a manufacturing facility and the home ships to the building location. So, instead of receiving a load of raw lumber at your building site, you might receive walls or even whole rooms. Often, the home arrives 90% complete to the building site. These components are built according to local building codes AND quality control specifications. The actual number of modules depends on the complexity of your home design. At the site, each section is ‘married’ together. 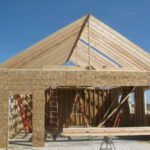 This joining is hidden by drywall and trim, resulting in a strong and beautiful home that looks no different than a traditional stick-built house. Let’s say you were going to hire a traditional home builder. You would want referrals and to see examples of their work. I’m sure you would check them out with the Better Business Bureau and even go so far as to personally interview them before committing. You should do the same when you are building a modular home. Not all modular home builders are created equal! You want one who produces quality work AND offers great customer service. Look locally, if possible. Find one that is known for personal attention. That way if there is an issue, you can get them on the phone and down to the job site right away. A house is a major investment and you want your builder to care about the finished product as much as you do. The building site is extremely important if you want to purchase a modular home. When a stick-built home is constructed, a builder can make adjustments for foundations that are not level or square. You DO NOT have this luxury when it comes to modular homes. Remember, your house is built off-site to extremely tight tolerances. Therefore, when it arrives on site, the foundation has to be perfectly square or your sections will not line up as they should. However, if you think about it, this need for exacting measurements means you get one very solid home in the end. There will be less likelihood of settling or cracks. More attention to detail at the beginning means a better end product. The other thing you need to consider is access. Your modular home will be set in place using a crane. Trees must be removed so the crane can reach the building site. Our modular homes are fully customizable, and we can even build a “back of the napkin” print that you drew yourself! When doing a fully custom plan (or when heavily customizing one of our existing home plans) you need to allow some additional time for custom plans to be drawn and a little extra money for the home itself. 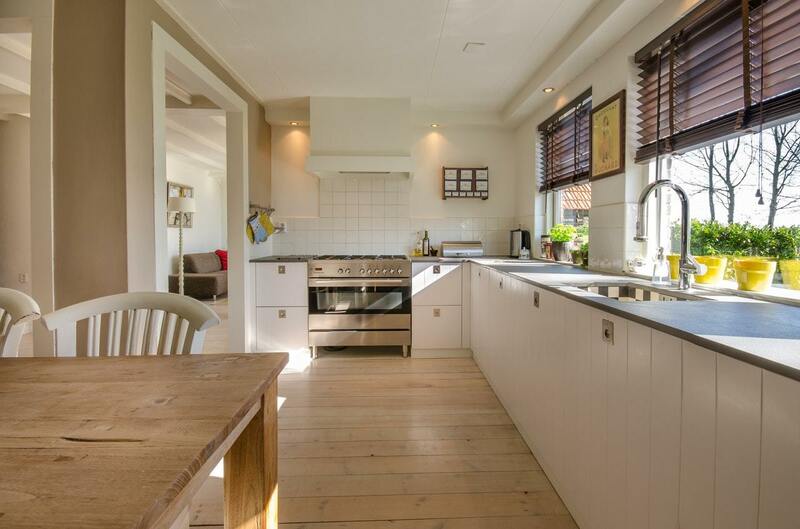 The good news is that once the details are ironed out, we will be able to give you an up-front price for your home, since it’s built entirely indoors in a controlled environment. 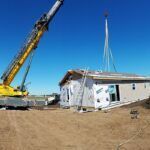 Financing a modular home is the process as the one you would follow for a stick-built home, but for many, it can seem overwhelming. Typically, a homeowner pays for the new home in one of three ways. Ask if your modular homes builder has a relationship with a local lender. This can cut down on paperwork and ease the loan process. For more information on financing, read Modular Home Financing – What Are My Options? At Next Modular, we know that building a home constitutes a major life event. As an experienced modular home builder, we are committed to giving you the best possible building experience.